Twice a year my wife and I give our home a deep cleaning. As part of this process we go through the bulk of our possessions, especially those in our home’s storage areas, and analyze what items should stay, and which items we can part with. We do this in April as part of spring cleaning, and also December. The second yearly iteration is in December because anything we can find to donate by the end of the year may double as a last minute, end of the year tax deduction. For donations with a fair market value greater than $250, a receipt must be obtained from the charity detailing the name of charity, date of donation, and estimated value. Even though it’s required for donations worth more than $250, it’s always a good idea to get a receipt for any donation. If the donation is left at an unattended drop off, create a written record of the donation including a detailed description, the value at the time of donation, and how the value was estimated. Only donations to a qualified charity are eligible to be claimed as a tax deduction. Before making your donation, check to ensure the charity is on the list of eligible charities using an online tool supplied by the IRS. Many people treat charity drop offs as a place to dump all the junk they found in their home so they don’t have to fill up their own garbage bin, or pay to dispose of it. Charities don’t want your junk, and It also may not count as a tax deduction. Items you donate must be in good used condition or better to be counted as a tax deduction. The one exception to this are items that are worth more than $500, and even then you must include a qualified appraisal of the item with your return. When donating a car, boat or airplane to charity, the amount that can be deducted is the gross proceeds from the sale of the item, not the fair market value of the item. If the total value of all non-cash donations exceeds $500, there’s a special form that must be filled out and submitted with your tax return. 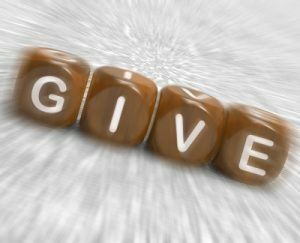 Donating to charity can be good for both the donator, and the charity. The donator can rid their homes of gently used items they no longer have a need for and get a tax deduction. The charity receives items that have some life and use left to generate revenue to help the community. As the end of year approaches now is a great time to purge your home and get one last tax deduction. Take some time to brush up on donation and tax regulations and then search your home for items to donate to your favorite charity! For more information on charitable contribution donations, check out the official website of the IRS. Good information. We donate items to Salvation Army, and they have a spreadsheet available that shows you the suggested value of many common items. It’s surprising because some are less than you’d probably estimate, where others are likely more. One addition: wash the clothes you take in first, and make sure that the container you put them in is decent. I worked in used books for a while, and I know we had to toss so much stuff because people brought their books in boxes that smelled like pet pee or mold. Even if the stuff was otherwise in good condition, the odor made it unusable. Your cost such as mileage can be deducted from your taxes when volunteering for a recognized charity. 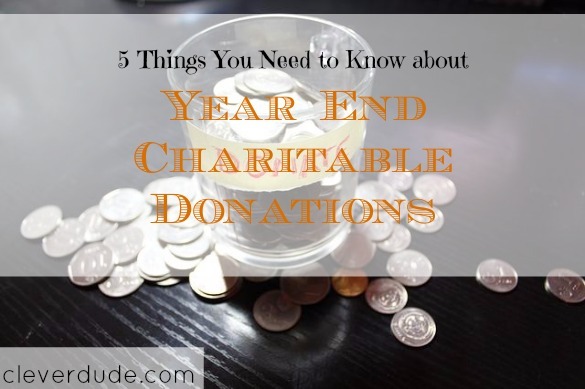 You can use actual transportation cost or the IRS mileage allowance for the year you performed the charity work. You can also deduct any associated parking and tolls paid. Keep your receipts and keep good records. @MoneyBeagle – Thanks for mentioning the spreadsheet, I’ve used it before and it’s very useful in helping to estimate the value of the donation! Thanks for reading! @Emily – good tip, I know I’ve been guilty of just putting clothes in a garbage bag and dropping it off. I’m sure they would really appreciate having them washed and packaged nicely! @LeisureFreak Tommy – At a time of year when many of us will volunteer, that’s a great tip to keep in mind. Thanks for stopping by!